Laurie Sullivan leads multi-campus software projects at IU, partnering with academic and administrative offices to further the university's leading role in academic excellence. Sullivan oversees IU’s enterprise resource planning systems in support of human resources, payroll, finance, student information, student advising, research administration, learning management, parking, CrimsonCard, and other academic and administrative systems. Sullivan is also responsible for IU’s data centers and physical hardware infrastructure. Prior to this role, Sullivan provided leadership for the overall support of the Student Information System (SIS) on all eight IU campuses. 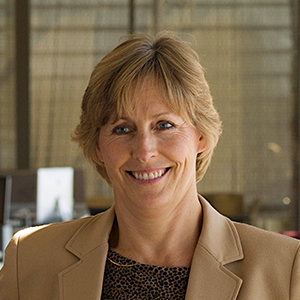 Laurie has held a variety of technology and student service positions in UITS, with responsibility for the PeopleSoft, Human Resources Management System (HRMS), and SIS enterprise implementations at IU. Sullivan led the technical projects to overhaul many of the student business processes as part of the Student Service Initiative. Sullivan served as the data steward for student data from 2010 to 2012. Sullivan served on the Higher Education User Group Board and User Group Alliance Conference Team, which supports PeopleSoft users nationally and internationally.